Allstate Moving Systems is proud to serve the City of Oceanside with our unique blend of customer service and high level skills. We use only the best equipment, and every employee is well-trained to ensure your treasured belongings make it safely to your new home or office. Our top-notch Oceanside movers can help with local and long distance moves–enabling you to focus on settling in to your new home or business in this beautiful city on the coast. Oceanside, California is a coastal city on California’s southern coast in the San Diego metropolitan area. In fact, it is the third-largest town in San Diego County, and it is one-third of what is known as the tri-cities area. The town of Oceanside is located just outside of the United States Marine Base Camp Pendleton. The weather, like in other cities in the San Diego region is mild year round. There are many exciting things to do in and around Oceanside, much of which involves the ocean itself. If you are considering a move to Oceanside, or perhaps you already call the town home and will be relocating elsewhere, it is important that you get in touch with the best movers Oceanside has to offer—the team at Allstate Moving Systems. Allstate Moving Systems has a long history in serving the military in and around Oceanside and in the San Diego area. With Camp Pendleton being one of the largest military bases on the west coast, there is a high need for quality moving services. Allstate has provided local, interstate and international moving services for thousands of our Oceanside-based troops. We happily handle everything from deployments to personal household moves. The team at Allstate tips their hats to the brave men and women that serve and protect this great country of ours. We are always happy to help YOU in any way we can with our Oceanside moving services. 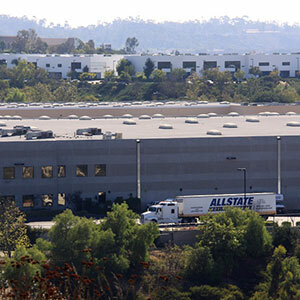 Allstate Moving Systems’ Oceanside branch is located at 4670 North Ave., Oceanside, CA 92056. We have served the Oceanside community and the surrounding area for over 50 years! In addition to local and long distance moves, Allstate can help you with Oceanside storage or if you need a warehouse in Oceanside. We handle both residential and commercial moves with ease. Also, we are an agent for United Van Lines, meaning we have a network of agents throughout the country (and the world) to help make your move smooth and straightforward. We know that moving to or from any city, even one as beautiful as Oceanside is a big job. There is no need to try to do it all yourself. Relax and let the Allstate team help you. Call (800) 897-6683 or request a quote online today for more information. We look forward to serving you. In a beautiful town like Oceanside, what’s better than getting out and getting wet? The Oceanside Pier is a great place to experience the beauty of the area and catch some waves. The pier is one of the best surf spots around, or you can simply enjoy spending the day at the beach with friends and family. Learn more about Oceanside Pier by visiting its home on the web at www.visitoceanside.org.